The twelve-person laboratory team headed by laboratory manager Horst Peters has been joined by Sabine Kupijaj since February of this year. After training as a paint lab technician in the paint industry, Mrs Kupijaj has mainly gained experience in the product development of aqua paints. At Dreisol Coatings she works in the laboratory team "Product Development Plastic Coatings". Once again this year, PaintExpo is presenting the latest solutions for paints and coating technologies, and for the seventh time in the new Exhibition Centre in Karlsruhe from 17th to 20th April 2018. 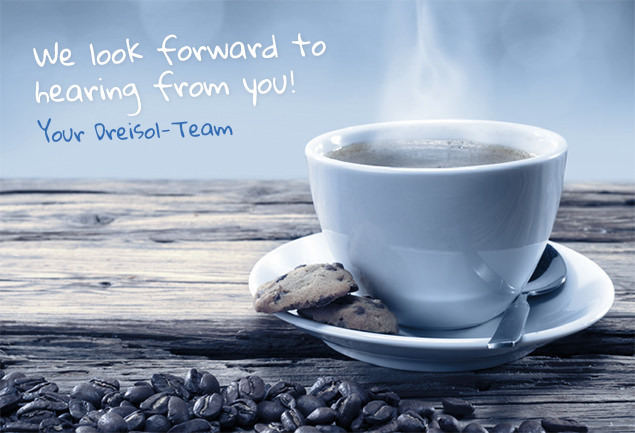 Active partnership – that is the basic concept of Dreisol Coatings GmbH & Co. KG. This concept is filled with life through the close co-operation with our customers for which we develop individual solutions on the basis of looking at things as a whole. When at the time of its foundation in the year 1910 Dreisol still made the requirements of the painters the focal point of its activities we in the meantime gained a reputation as a competent problem solver for industrial coating issues. Consequently customer-oriented we elaborate solutions for the machinery, plant and vehicle engineering sector as well as for the plastics, glass and paper working industries. The basis for a both lasting and successful partnership with our customers is the assurance of quality. Modern high-duty machinery, state-of-the-art test equipment and last not least our quality assurance system in compliance with DIN EN ISO 9001 : 2008 guarantee at all times an invariably high product quality and color constancy.